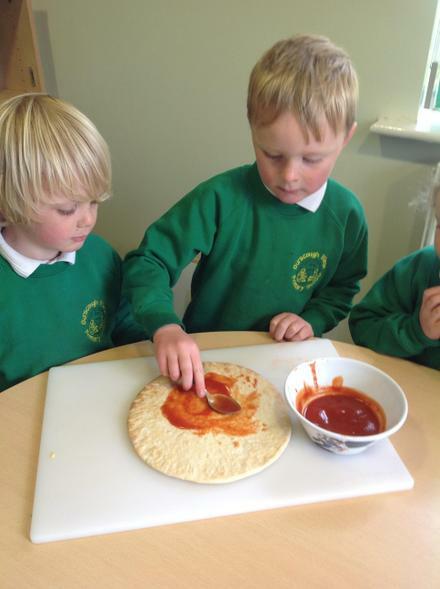 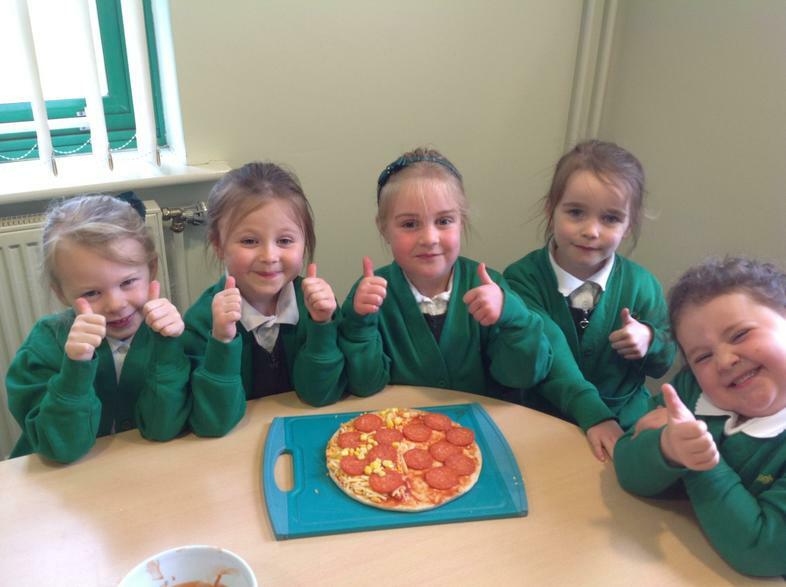 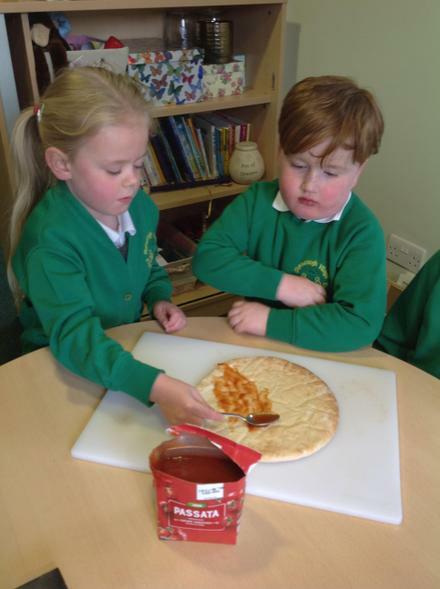 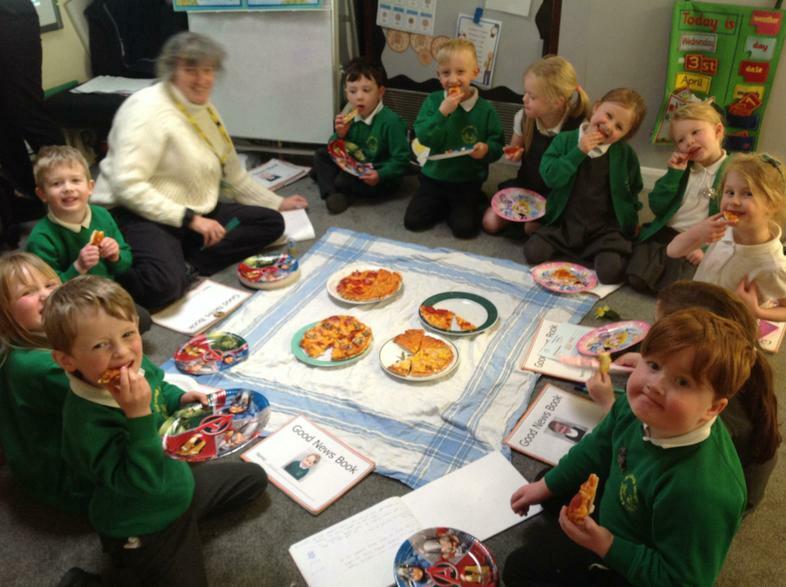 At the beginning of the week, the children in our Reception class enjoyed designing their own Pizza. 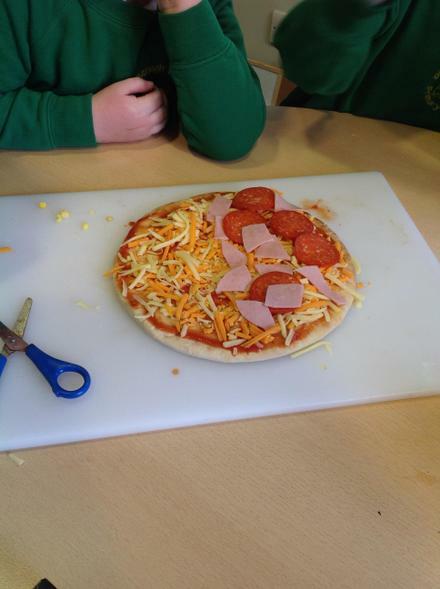 As they had so much fun, we decided to give them the opportunity to create their own design using a variety of toppings of their choice. 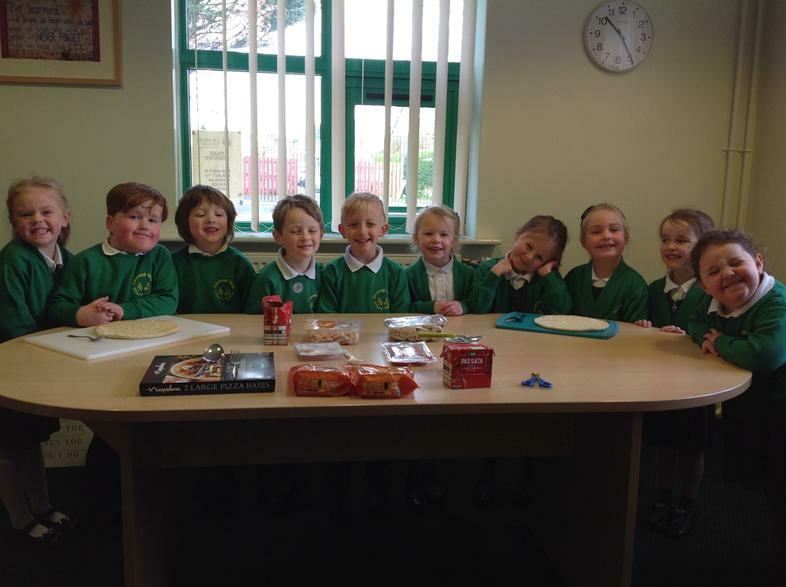 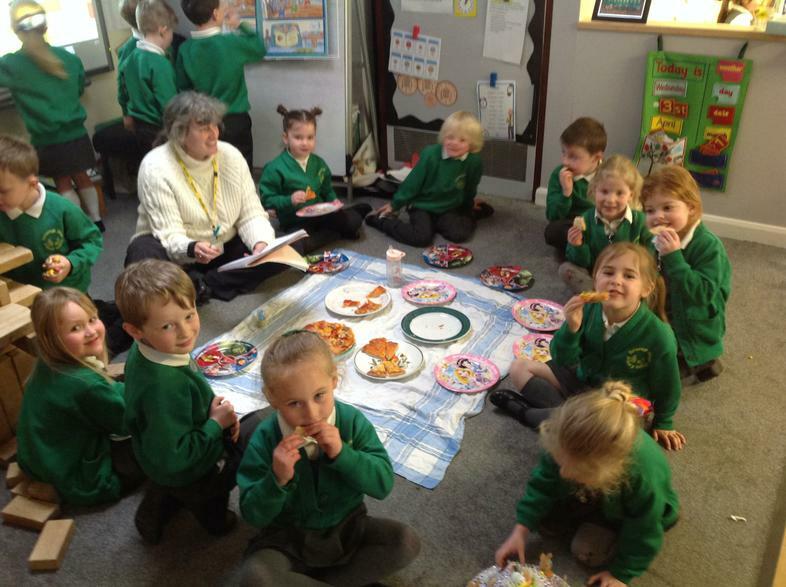 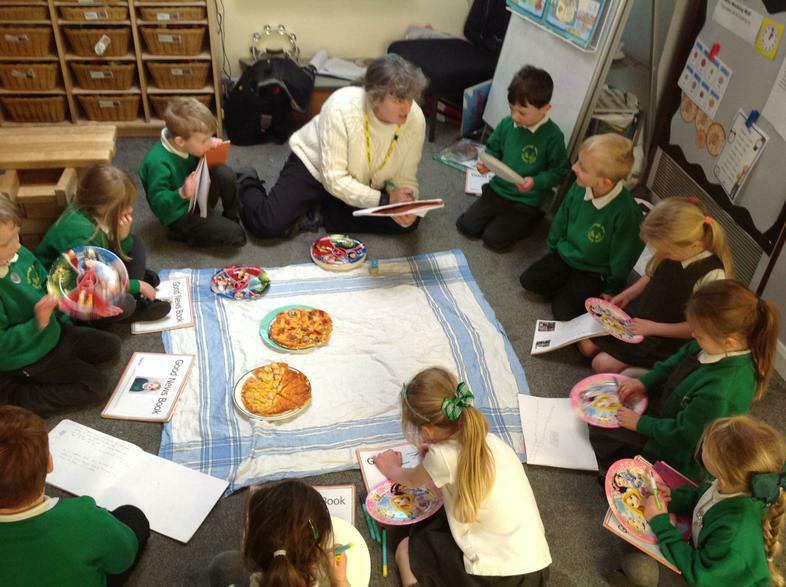 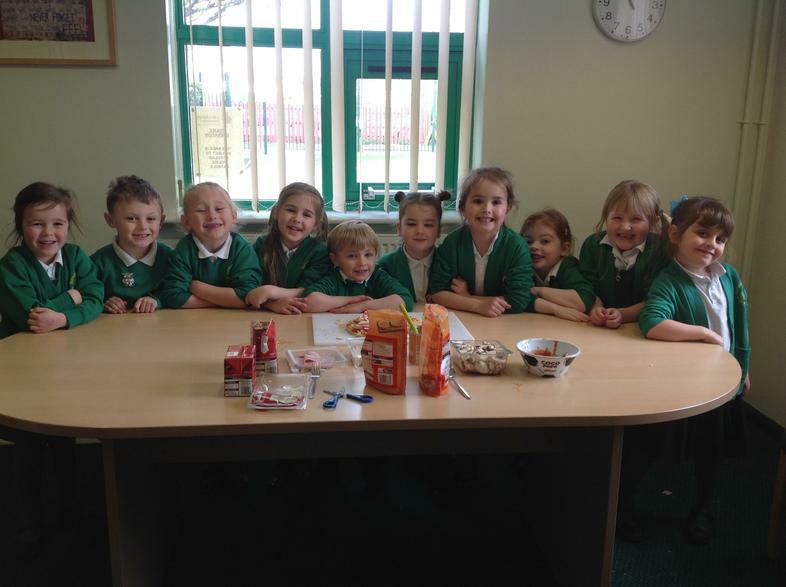 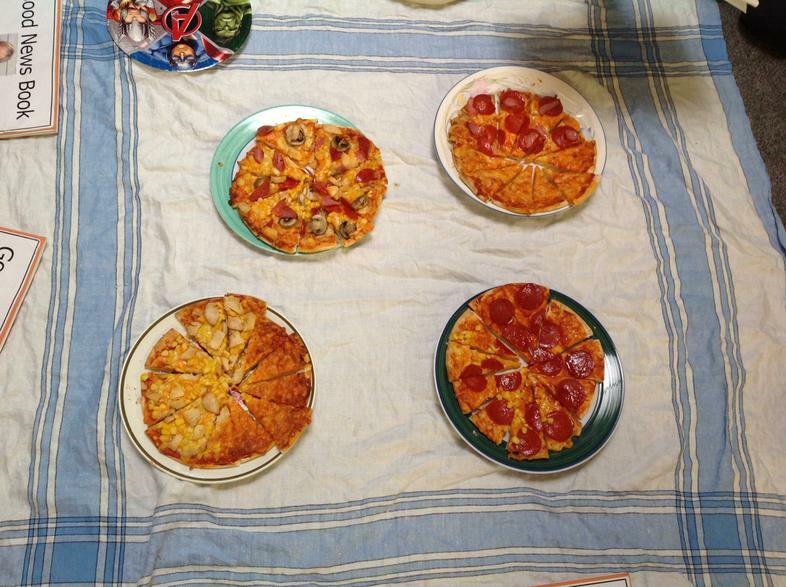 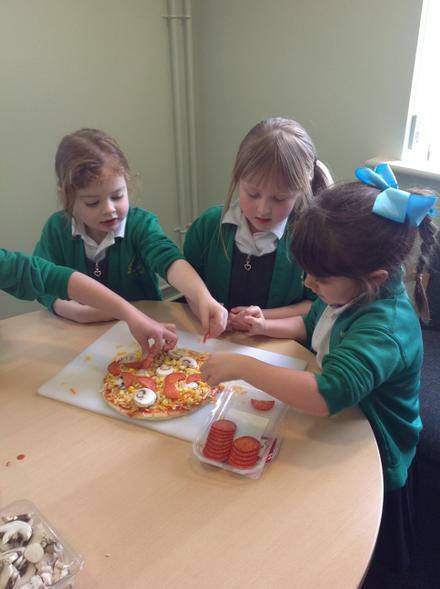 Miss Weston helped them to create a mini pizza cafe where the children made and cooked their pizzas. 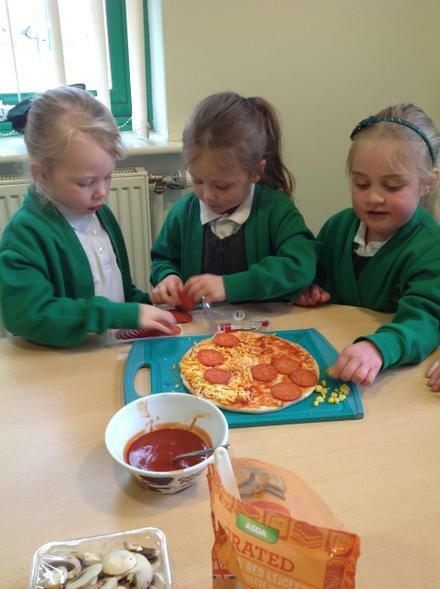 Today's Pizza menu specials ~ Cheese & Tomato; Pepperoni; Chicken and Sweetcorn and Meat Feast. 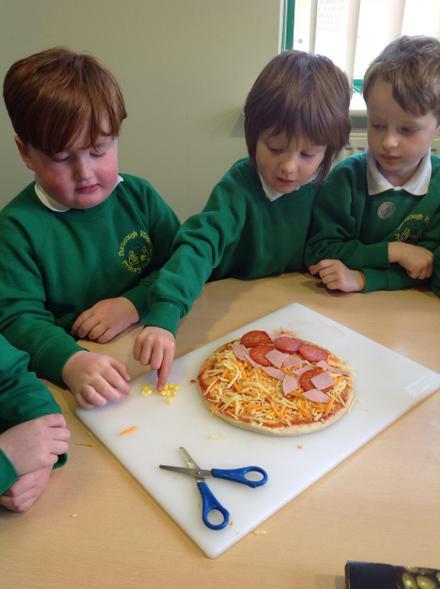 The pupils created their own special pizza using a tomato base then adding Cheese, ham, mushrooms, sweetcorn and chicken. 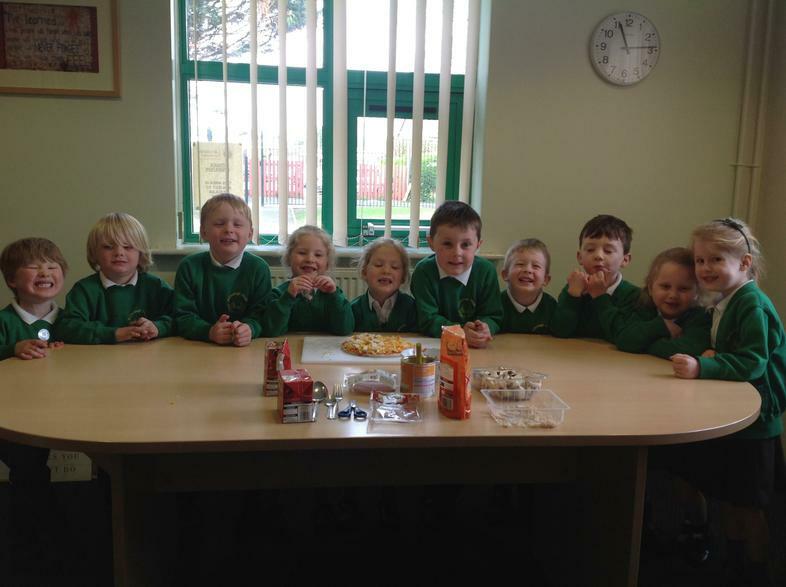 Well done to everyone, they look delicious!